Providing you with an ever-growing list of companies that are either committed to hiring veterans or helping place veterans into certain industries or fields. Home Bound Veteran and KLHE Media Productions does not receive any sort of compensation from these companies but we have attempted to compile a resource list that will help speed up and smooth out your process to being hired. Did we make a mistake? Please click here to let us know of any issues with this list. Have a recommendation? Click here to let us know. We are always looking for valuable resources to add to our growing list of companies that are committed to helping veterans. From the early hours of each morning, Dog Tag Bakery is mixing up batches of handmade baked goods while providing valuable work experience for disabled veterans and caregivers. ServingTogether is EveryMind’s commitment to veterans, active duty military, and their families. It is an integrated program, connecting veterans who have served our country with the resources they have earned. EveryMind has supported veterans in the National Capital Region for nearly sixty years. We are the trusted partner in connecting individuals with empowering programs and reputable resources. Give an Hour™ is a national nonprofit 501(c)(3), founded in September 2005 by Dr. Barbara Van Dahlen, a licensed clinical psychologist. At Give an Hour we believe that within our communities we have the resources to address many of the challenges that face society – challenges that often result in emotional pain and suffering. By harnessing the skills and generosity of citizens across our nation and around the world, we provide those in need with help and hope. 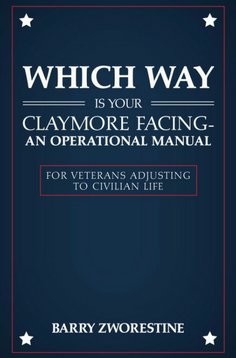 Barry’s book, Which Way Is Your Claymore Facing, and his extensive research and practice in helping the combat veteran transition back to the civilian life is an invaluable resource for any veteran. If you’d like a copy of his book let me know as Barry has donated some to our listeners!! Veterans Yoga Project teaches self-regulation skills, creates opportunities for healing through multi-day retreats, and provides advanced training in Mindful Resilience for yoga teachers and healthcare professionals. 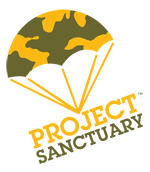 The mission of The Soldiers Project is to provide a safety net of psychological services for military service members and their loved ones, and to educate the general public on how the psychological consequences of war affect both those who serve and their loved ones at home. After Deployment provides resources for the returning veteran and their family including substance abuse, relational conflict resolution, injuries, PTSD, and much more. The military organizes life for you: your identity, sense of purpose & belonging. But how can you organize your life to thrive after you separate? The You School developed a unique approach to assist the veteran in the transition from military service to becoming a civilian again.